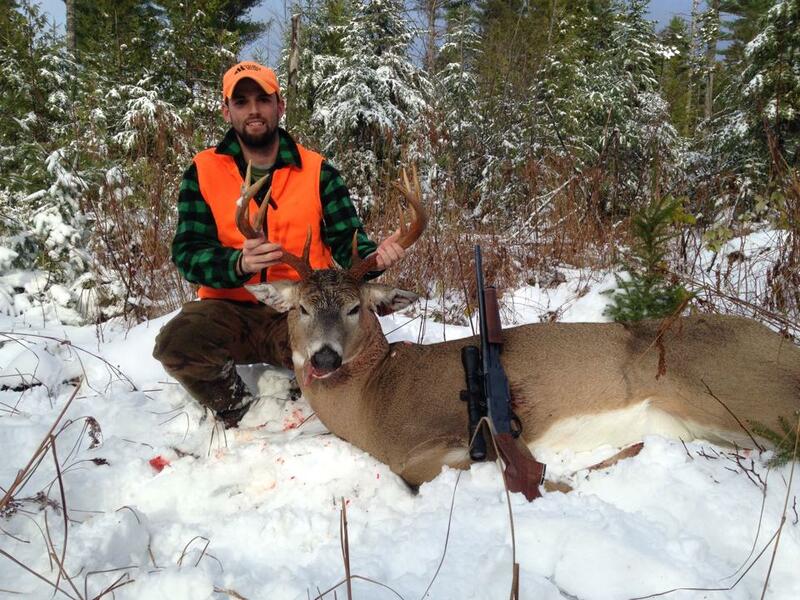 Hunt East Adventures is located in Downeast Maine. This area of the state is rich in outdoor sporting history and well known for its spectacularly rugged Atlantic coastline and often referred to as the Bold Coast. It is also a sportsman’s paradise, perfect for Moose and Deer, characterized by huge marshes, wetlands, blueberry barrens, hardwood ridges and lowland spruce and cedar bogs. Much of the forestland is large tracks of undeveloped timberland, with a variety of forest cover types including recently cut areas, riparian areas and mature timber. These areas are generally open for public use and have extensive gravel road networks. The hundreds of lakes and ponds throughout the region provide excellent world-class fishing for both cold and warm water species such as Salmon, Trout and Bass. We are a small guide service focused on providing our clients a safe, ethical and successful outdoor adventure. We take a great deal of pride in our ability to offer a personal hunting and fishing experience, often putting our clients on that trophy of a lifetime. We never mix parties and your group will be our only concern during your stay. Many of our customers arrive as clients and leave as friends, and we want it to stay that way. Your guide, Michael Congelosi, is a native of Downeast Maine and has spent his entire life learning about the area, habitats and the game species found there. He is a professional, passionate, and knowledgeable guide dedicated to putting sportsman on game and fish, but also making sure clients remain safe and enjoy every minute of their trip. From the time Mike was a child he has spent every chance he had in the woods or on the woods finding fish and game and simply enjoying nature. The outdoors became a true passion. Mike especially enjoys Moose hunting and enjoys calling in huge bulls. No matter what your adventure you can be sure your guide will give 100% every time to every customer.